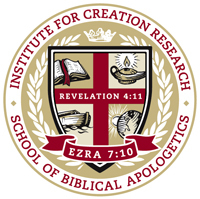 The School of Biblical Apologetics offers the Master of Christian Education degree, with a joint major in Biblical Education and Apologetics and four optional minors. The M.C.Ed. program involves 12 core courses plus 6 elective courses (with the electives usually needed to fulfill the minor). Combined, these 18 courses, each the equivalent to 3 semester hours credit, result in 54 semester hours of required classroom courses. Additionally, each student must complete either a masterpiece “capstone” project or a master’s thesis. The “capstone” project and thesis are both rated as 6 semester hours credit, resulting in a total of 60 semester hours credit needed for graduation. The M.C.Ed. degree can be completed in less than 24 months through a convenient online program.